Hi Shoshana! 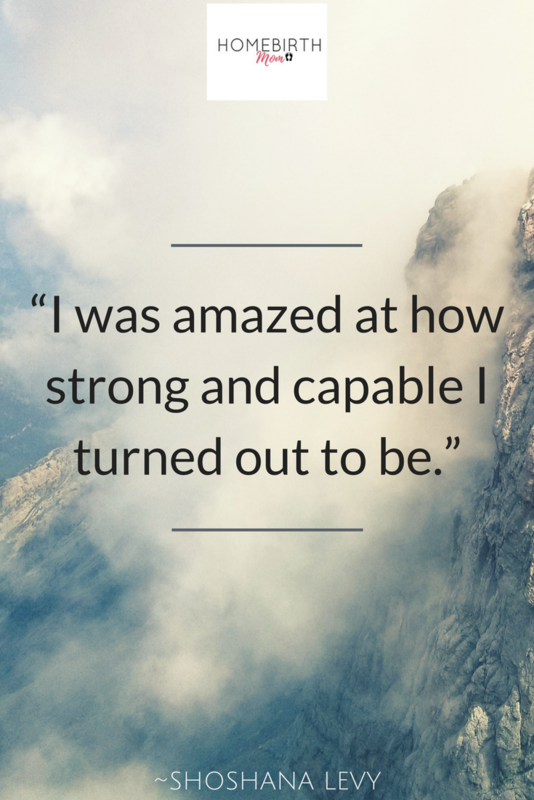 Thank you for sharing your homebirth story. Were they born first or was it interspersed? They were interspersed. 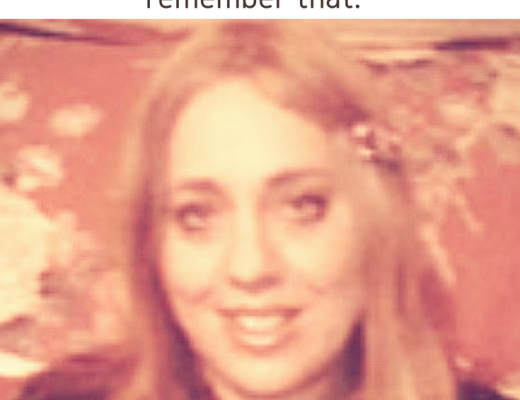 Every one of the boys was born either in the hospital or at a birth center because of insurance or medical issues. The one who had medical issues we knew about from the 20 week scan so he was a planned hospital birth. My three girls were born at home. I don’t like doctors. I don’t like hospitals. I don’t like Western medicine. Don’t trust them, never did. I’m not a person who ever goes unless someone’s dying. How did your homebirths work out? They were all three really good experiences at the end of the day. The first one, my oldest, was really fast. My second one was not fast at all. And the third one was so fast the midwife almost didn’t make it here. That was my favorite! She’s actually three years old now. It started when I went into labor at 5 o’clock in the morning. I was focused on dealing with contractions so I wasn’t really timing them too much. This was with my second husband and it was his first homebirth experience so he was nervous about the whole thing and he left it to me to know what to do. I was doing so nicely by myself that I didn’t realize how close things were getting so I didn’t tell him to call the midwife soon enough. It happens to be my midwife lives really close, only about 5 minutes from my house. I didn’t want to bother her too early and I just did it on my own. I was doing hypnobirthing so I was just chilling during the contractions getting my thoughts inside. 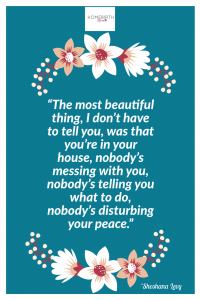 The most beautiful thing, I don’t have to tell you, was that you’re in your house, nobody’s messing with you, nobody’s telling you what to do, nobody’s disturbing your peace. So I got on the bed and she was like: “Yeah I see the baby’s head!” and 2 pushes later she was out. My 15 year old daughter had to help out as Leah’s assistant didn’t have time to get here because she lives further away so my 15 year old was there handing Leah her gloves and holding the flashlight. She actually got to cut the baby’s cord. I was able to relax in my bed and then take a shower in my own bathroom afterwards which was really nice. Would you recommend a homebirth to other women? I think how natural it was. How quiet it was. 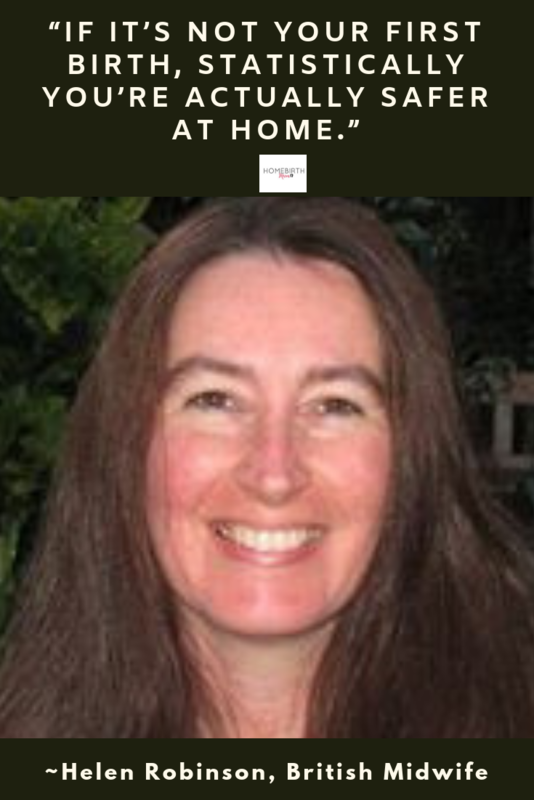 What was the biggest challenge of having a homebirth? I honestly think taking care of childcare for the other children and managing the other kids in the family can be a challenge. 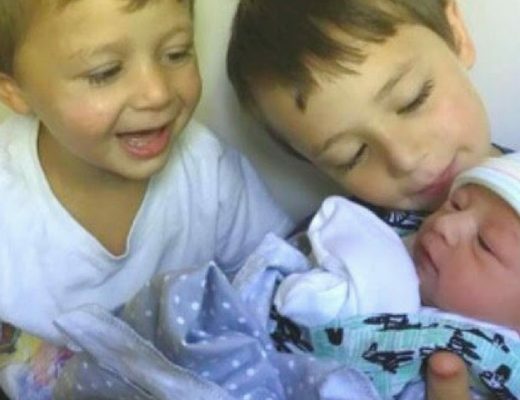 In my first homebirth I had my mother living with me so she was able to take care of the 2 older siblings who were 6 and 3 at the time and that birth was about 8 hours which is kind of long for me. She took care of them after the birth as well, for the first couple of months. She cooked food ahead of time for us, she was amazing. With my second baby she also lived with us and again I had the same luxury. 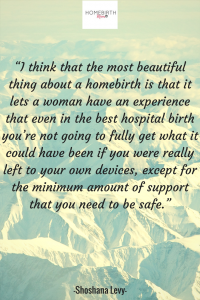 What would you tell someone who’s thinking of having a homebirth? What advice would you give them? 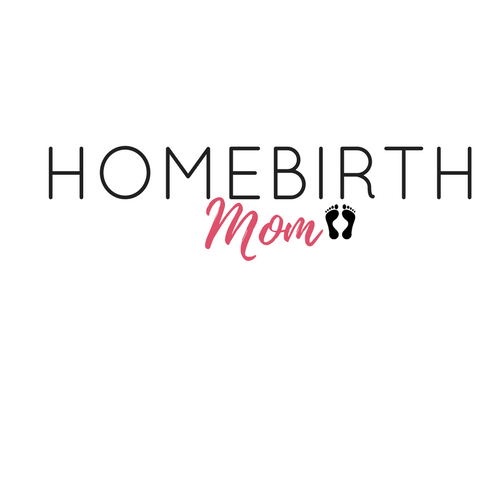 The truth is when you asked what surprised me about a homebirth, I think after hearing this question, the most surprising thing for me was not how quiet and calm everything was but honestly that I could have done it myself. 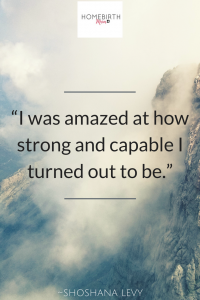 I was amazed at how strong and capable I turned out to be. I would never ever know my own strength. The wellspring of feminine power is awesome. It is an awesome thing which people are not allowed to experience. They literally terrorize you with interventions and fear. It’s incredible when you leave a woman alone what she’s capable of doing. It’s so empowering and it’s just stunning. 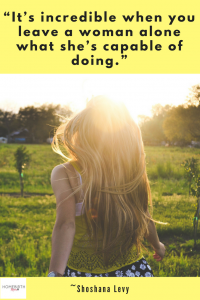 So I think that the most beautiful thing about a homebirth is that it lets a woman have an experience that even in the best hospital birth you’re not going to fully get what it could have been if you were really left to your own devices, except for the minimum amount of support that you need to be safe. It’s something that’s lost today. 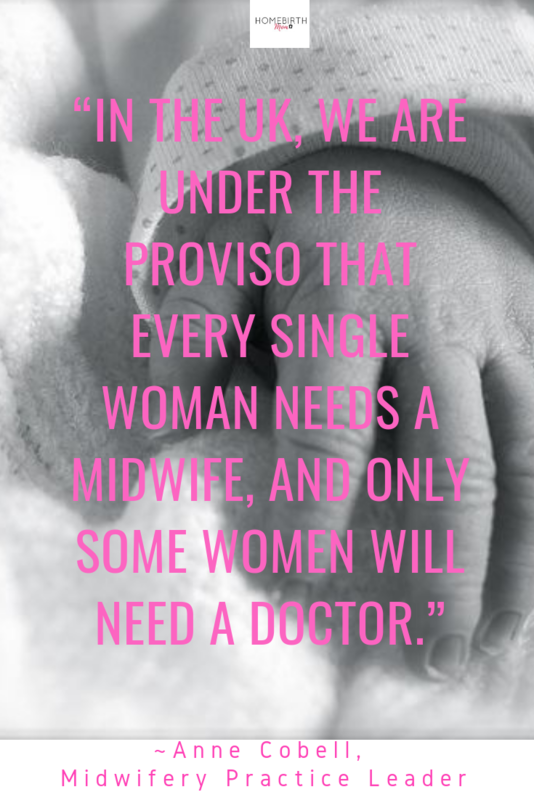 Most women think you need all kinds of equipment and medical care when having a baby, but they’re being cheated out of an incredible empowering experience and they don’t know it.